Crème de cassis is a sweet, red liqueur made from currants. You don’t see it served on its own very much, but it is often added to other drinks – such as the Kir Royal – to sweeten them up and give them a splash of color. It’s very popular in France and most of the world’s production is consumed there, although most bars will stock a slightly dusty bottle specifically for making a drink like this one. 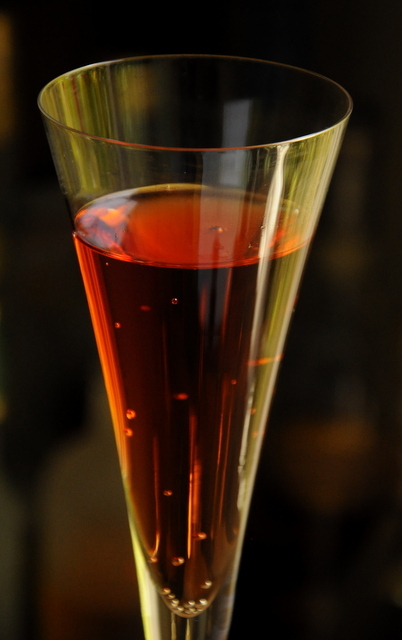 Pour the the creme de cassis into a Champagne flute and fill with chilled Champagne.